In a new series Publishers Weekly has listed as “one of the most anticipated YA's of 2018”, I am excited to help share the cover for Bring Me Their Hearts! NYT bestselling author Sara Wolf delivers a fast-paced, gritty fantasy sure to thrill fans of Holly Black, Sabba Tahir, and Sarah J. Maas. Now this I am looking forward to. This actually looks like a fresh new read, yes it appears to be along the lines of Sarah J Maas, but that is a good thing in my opinion. Hopefully it will release in the UK at the same time, most likely not, but hey we can cross our fingers and ask the Reading Angel very nicely. Oh, I hope so. 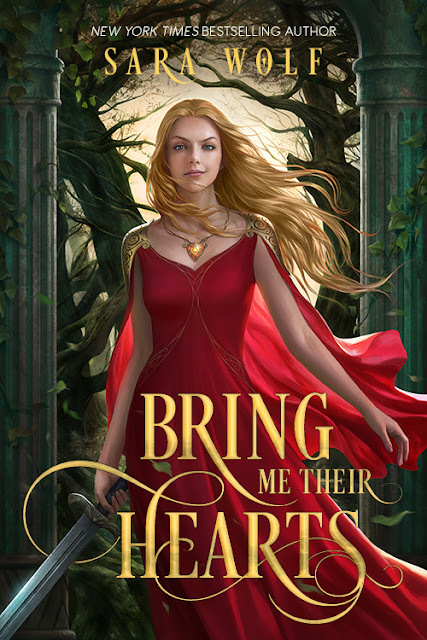 I am quite excited about this one too and you can never go wrong with being compared to Sarah J. Maas right? !